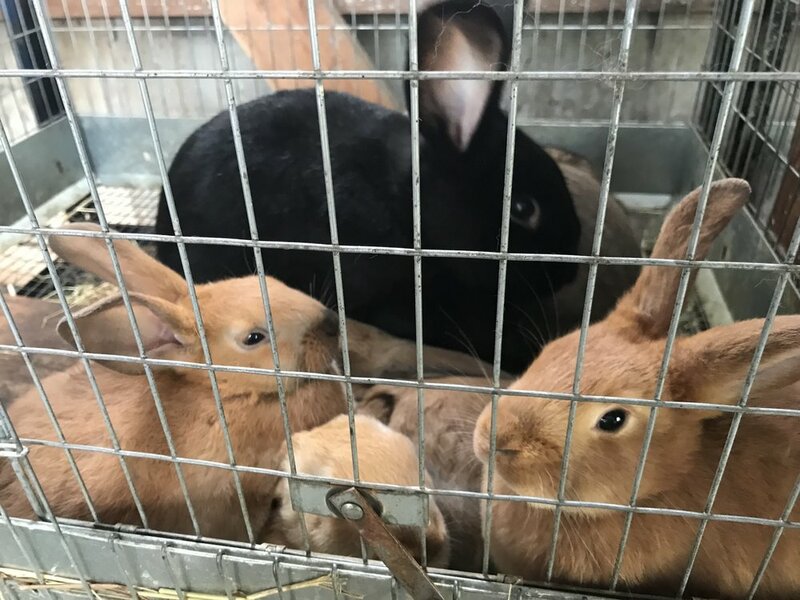 Our New Zealand mix rabbits are bred and raised here on the farm and fed locally milled alfalfa pellets, timothy hay, grass and occasional greens from the garden. Rabbit is a healthy, lean meat with a flavor similar to the dark meat on a chicken. Our butcher dates for summer 2018 are June 14th, and July 13th. You can pick up fresh rabbit on the afternoon of the butcher dates, or frozen any time after. Limited availability. Rabbit usually runs around 3.5-4 lbs. $5/lb plus processing. Our red ranger chickens are raised on organic and GMO free feed and pasture. They lead natural, cheerful chicken lives with plenty of sunshine, fresh air, and room to roam. Our butcher date for summer is July 13th. You can pick up fresh chicken the afternoon of July 13th, or frozen any time after. Limited availability, We expect the meat birds to dress out around 4.5-5lbs each. $5/lb plus processing.